Found one file extension association related to HoDoKu and 1 file format developed specifically for use with HoDoKu. 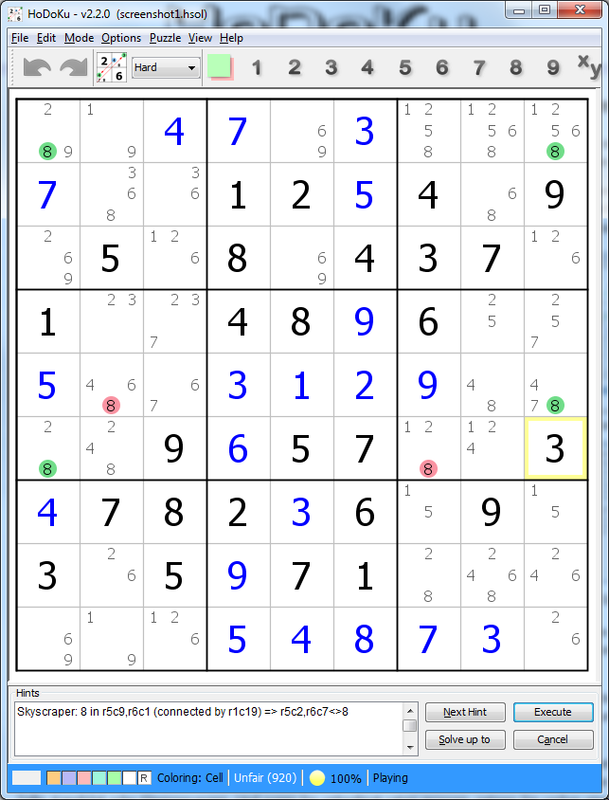 HoDoKu supports many more human style solving techniques than most other programs available (singles, subsets, LCs, fish, wings, uniqueness, coloring, chains, ALS). All steps can be highlighted on the grid which makes HoDoKu a great tool for learning as well. If you need more information please contact the developers of HoDoKu (HoDoKu Team), or check out their product website.